Colombia is a sovereign state situated in the northwest of South America. This linguistically diverse and culturally rich destination is home to more than 48 million people. Colombia is the chance to see Andean summits and archaeological gems. Popular attractions include the Gold Museum in Bogota, Old Town in Cartagena and Lake Otún in Pereira. Cheap flights to Colombia are now available for a limited period of time, so prepare to be enchanted by this delightful destination. Bogota is home to El Dorado International Airport (BOG), located just 32 minutes from the city centre. 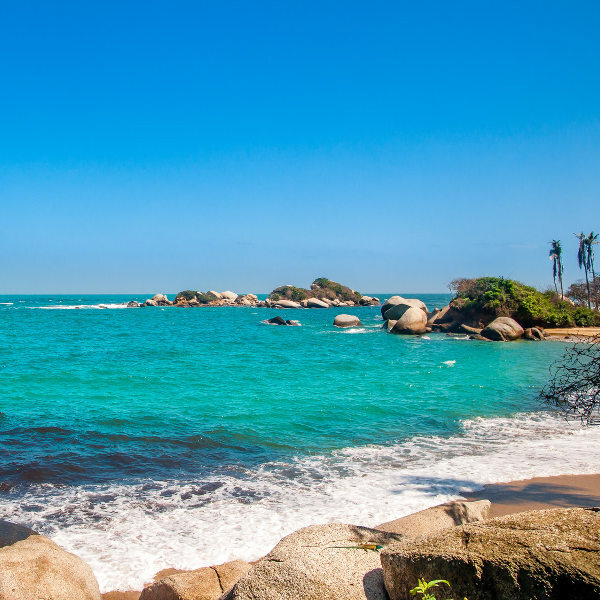 With over 300 beaches along its pacific and Caribbean coasts, Colombia has beaches for all to enjoy. Tayrona National Park is a great spot for eco-lovers as it has untouched beaches encircled with rainforests and a tropical vibrancy. 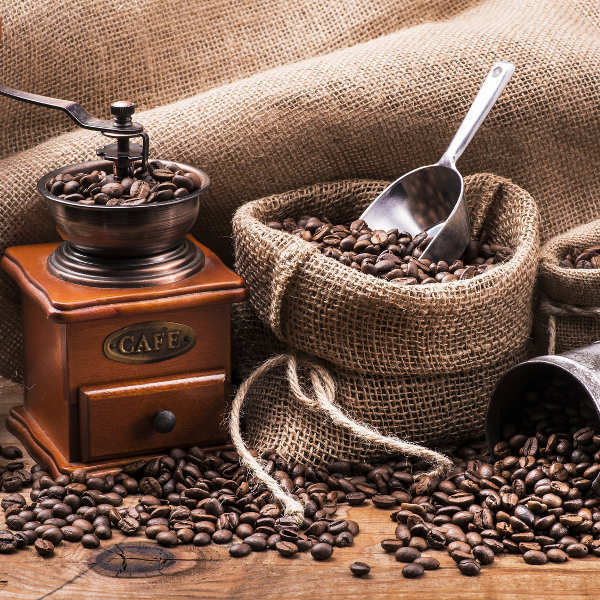 An incredible 560,000 coffee farms sustain the country’s economy. Explore Colombia’s coffee-drinking culture by visiting one of several hospitable cafes. Parque Nacional del Café is an incredible amusement park in the department of Quindío - it is based on coffee! Visit the city of Leticia, considered to be Colombia’s gateway into the Amazon rainforest. 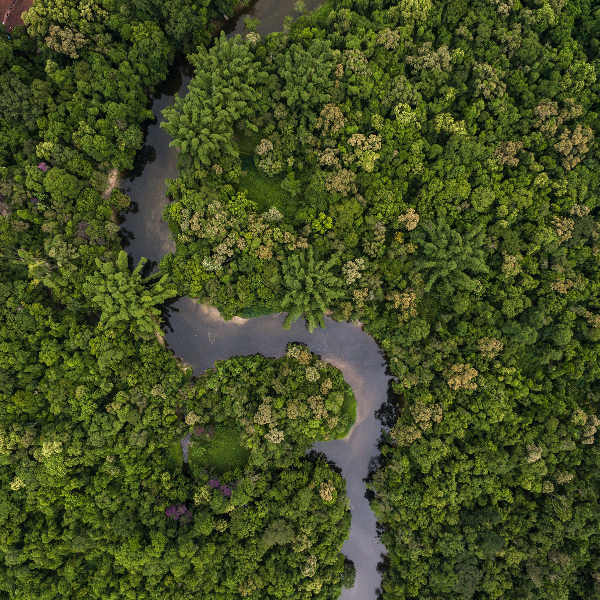 Encounter beautiful rainforest landscapes and majestic wildlife. Pay a visit to breath-taking Amazonian tribes accompanied by the pure delight of ethereal jungle sounds. Colombia has a tropical climate which varies across the country due to the variation in topography in the different regions. The temperatures are consistent year round, and temperatures are connected to the altitude of a location. The Andean region has two dry and two wet seasons per year. From December to March and July to August are the ideal times to visit in the dry season. October and November in Colombia are best avoided, as these are the months when the country witnesses flooding and poor road conditions. Hot coastal areas include Cartagena and Santa Marta, and cooler highland tropical locations include cities such as Medellín, Bogotá and Manizales. For cheap flights and low accommodation prices in Colombia consider visiting during the wetter season (March - May and September - November). This is also the time when you can avoid the bustle of touristic crowds. Colombia is the ultimate treasure filled with incomparable natural attractions, including mountains, valleys, lowlands, jungles and deserts. This country has so much to offer through its incredible sightseeing and amazing things to do. Once you have your mind set on visiting Colombia, you’ll be deeply rewarded with the time of your life. Cheap flights to Colombia are ready to be seized! Bogotá is undeniably one of the most beautiful cities in the world. It charms you with a mix of classical and modern architecture while reminding you of its early beginnings through its colonial quarter. Its city centre is dominated by Monserarate – a majestic mountain which offers sensational views of the city. Tourists can reach Cerro de Monserrate by cable car ride or by climbing. Additional popular attractions include Plaza de Bolivar, La Candelaria and the Gold Museum. A Colombian metropolis once dominated by Pablo Escobar, Medellín has gone through tremendous transformation in the last 20 years. The city receives many tourists throughout the year. Prepare to bear witness to sensational mountains, beautiful sun-filled weather and lovely locals. Immerse yourself in the vibrant culture. Exquisite places to visit include Plaza Botero, Jardín Botánico and Parque Explora. A city protected from pirates and storms by the old walled city, Cartagena’s Old Town is the heart of this Caribbean paradise. Discover colonial architecture and incredible plazas. Cartagena is also known for its sensational nightlife where tourists can dance the night away to the sounds of Caribbean and Colombian music. A humbling visit to San Basilio de Palenque will have you feeling the deeply rooted rhythms through the Afro-Colombian heritage on display. The sultry beat of the drum is sure to get you dancing! Compare several airlines and book your cheap flights to Colombia online at Travelstart! All travellers should be up-to-date on all routine vaccines before travelling to Colombia. These vaccines include measles-mumps-rubella (MMR), diphtheria-tetanus-pertussis, varicella (chickenpox), polio, and your yearly flu shot. You should also consider getting vaccinations for hepatitis A, hepatitis B, typhoid, malaria and yellow fever. Colombia has a stormy past and therefore hinders tourists from visiting its shores. Do not fret as Colombia has been declared safe by the French government since 2010. These areas include include Santa Marta, Barranquilla, Bogotá, Tunja, Quindio, Risaralda, Caldas and San Adres. • Tourists are encouraged to stick to popular tourist destinations. • Do not flash your valuables and money in public spaces. • Avoid using illegal taxis. • Do not travel alone through the cities. • Always keep an eye on your drink at bars and nightclubs.